The countless charms and benefits of living in the Upstate are often talked about by residents and visitors alike. 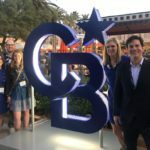 Our area is one of the fastest-growing in the nation. Thankfully, the Upstate has enough goodness to go around, including ample recreational space, fantastic dining choices, unique urban development, and a thriving economy. Greenville’s Eastside is one of the most traditionally family-friendly areas of the county, with plenty of established and new subdivisions, pools, parks, libraries, and schools. Residents enjoy easy access to the City of Greenville, while also benefiting from the less dense development that comes from being outside the city limits. Good schools and an abundance of families raising children make this area fairly activity-oriented. Situated five minutes from downtown and five minutes from the nature lover’s oasis of Paris Mountain State Park, Cherrydale was once an almost forgotten community. Now, after carefully planned development, Cherrydale has comeback as a booming business district that offers shopping centers, a movie theater, and countless dining options to residents, not to mention a variety of affordable housing options. Paris Mountain enjoys a long history of habitation, first by Native American tribes and then by American settlers in the late 1700s. Now largely protected as a State Park, Paris Mountain is home to a select group of upscale planned neighborhoods and mountain estates, intermingled with well-maintained, more modest homes. Truly steps away from all of Greenville’s entertainment and conveniences, Paris Mountain offers mountain living without any isolation. Encompassing a large area along Wade Hampton Boulevard and stretching northward, Taylors is a popular location for younger families or singles who are purchasing their first home as well as with those looking for more space at a better price. Wade Hampton Boulevard’s busy commercial strip offers plenty of dining and shopping options, as well as a landmark bowling alley. Greer has enjoyed a steadily growing popularity as its small downtown has undergone a highly successful revitalization, spurring new residential as well as business development. As it has undergone its renaissance, the community has welcomed many who want better value at better prices, but do not want to sacrifice amenities like a thriving downtown and green space. These values, held in common by the town’s leadership, have attracted a diverse population and encourage an engaged citizenry. Covering a large swath to the west of Greenville, Berea is a largely suburban area with no centralized business district. The farthest west end of Berea is bordered by beautiful Lake Saluda, which contains many of the community’s most desirable properties. Lakeside living offers the peace and tranquility that those looking to live away from the hustle and bustle seek. Much of the rest of Berea functions more like a bedroom community, with many residents commuting to Greenville for work. This rural area exudes a small-town feel, with widely spaced homes, open land, and even the occasional glimpse of livestock. 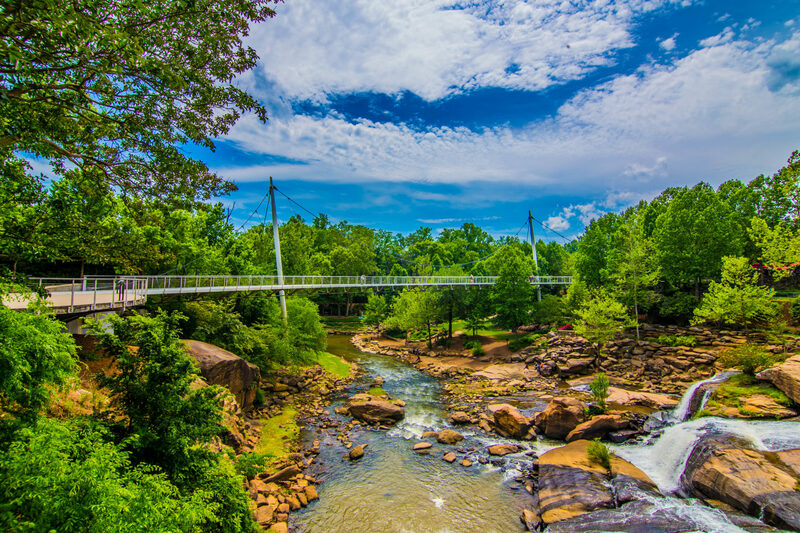 The pace of life here is slower, and somewhat removed from the goings-on closer to Greenville’s city center – even though downtown Greenville is just minutes away. The Greenville County Library’s Anderson Road branch is located on the outskirts of Welcome, and necessities like grocery stores, banks, and other businesses are never farther than a few miles. Five Forks, named for the five roads that intersect at its center, features deeply rural pockets within a steadily developing community. One may see cows and horses grazing contentedly within a mile or two of a locally owned business on the outskirts, while the center of Five Forks has become a thriving commercial district with restaurants, pizza shops, and grocery stores. The area continues to expand and grow as Woodruff Road and its thriving business corridor stretches further east. Part of the Golden Strip, a thriving business corridor that several Fortune 1000 companies call home, Mauldin is a small but diverse community with a robust business community and Chamber of Commerce. The town is also known for having the second-lowest property taxes in Greenville County. Mauldin offers great value for the price point, with a network of established neighborhoods full of unique home styles surrounded by mature trees. Well-maintained apartment complexes are also plentiful. Piedmont is a former textile mill town that lies along the beautiful Saluda River. A scenic drive through this largely wooded area will afford views of abandoned historic buildings tucked back among the trees, or being slowly overtaken by kudzu. First settled in 1786, Piedmont was highly influential in developing South Carolina’s textile economy. Water activities like kayaking, canoeing, and fishing are popular here, as is hiking and cycling the sometimes-challenging hills. Originally a mere waystation for travelers on horseback, Simpsonville has joined Mauldin as part of the thriving business corridor called the Golden Strip. Located just south of Greenville, Simpsonville offers a small-town feel with the conveniences of the city within easy reach. Custom home builders have flocked to Simpsonville, resulting in an abundance of quality new and never-lived-in residences. Many of these homes are in planned neighborhoods with amenities including pools, parks, playgrounds, and tennis courts. Simpsonville has done a lot of work to help its business district grow and thrive. Having grown up a bit from its rural roots, Fountain Inn now boasts the lovely Fountain Inn Civic Center and a charming Main Street, as well as many beautiful horse farms that follow the rolling hills. The area exudes the thriving small town’s self-confidence, which is well complemented by the plentiful natural beauty. Those living in Fountain Inn can satisfy their cultural yearnings with the great musical and dramatic talent brought in by the Civic Center, or go horseback riding at any of several nearby stables. A variety of restaurants and other entertainment can be easily reached by a short drive to Simpsonville or Mauldin. Although formerly little more than its name, a waystation for travelers to take their rest, in recent years the town of Traveler’s Rest has grown into a flourishing community with a charming business district, a blossoming arts council, and some of the most beautiful land and views one can find within ten miles of city of Greenville. A gateway of sorts between Greenville and the North Carolina mountain cities of Hendersonville and Asheville, Traveler’s Rest (or TR, as locals call it) owes more to its artsy, pioneering northern neighbors than it does the city to the south. Twenty miles north of Greenville, Blue Ridge offers true mountain living just half an hour from the city. Cows, horses, and even alpacas are no uncommon sight in this largely rural community. The chance for rural living with easy access to both outdoor recreation and urban entertainment continue to draw people here, but the community has maintained its charm and tranquility. Located northwest of Greenville and bounded on the north by the North Carolina state line, Caesar’s Head’s nearby attractions include not only Caesar’s Head State Park, but also Table Rock State Park, the Jocassee Gorges, Mountain Bridge Wilderness Area, and Dupont State Forest. The Cherokee Scenic Highway winds through Table Rock, offering beautiful forest views and opportunities for wildlife sighting. The small towns of Cleveland and Marietta offer all the necessities. Located just north of Greenville’s vibrant downtown, North Main offers all the charm of an established neighborhood, with all the convenience of being within blocks of the city’s best restaurants, theater, and nightlife. The abundant sidewalks and beautifully landscaped streets encourage walkers, joggers, cyclists, and add to the community’s family-friendly atmosphere. The community balances modern eclecticism with a respect for history, making this one of Greenville’s most unique and desirable neighborhoods. The revitalization of downtown Greenville has turned a once down-on-its-luck business district into one of the most livable, vibrant, and recognized cities in the state – and it’s only getting better. Intensely planned urban-style development has created a widespread variety of restaurants, nightspots, parks, plazas, and urban residences that leave those who live here with an endless list of activities and entertainment. That’s why the media just can’t stop talking about #yeahTHATgreenville. Traditionally one of Greenville’s most affluent communities, this historic area is full of winding residential streets lined with beautiful mature trees and fronted by large yards. Some of Greenville’s oldest and most successful independent businesses populate Augusta Road’s business district, which offers everything from coffee shops and diners to wedding boutiques and athletic stores. Encompassing part of downtown and stretching west towards the town of Easley, West Greenville is currently undergoing a major revitalization. Now home to more than 30 unique artists, galleries, shops and restaurants, West Greenville is a growing arts mecca. Affordability and proximity to major employers, as well as to the businesses of Augusta Road and downtown, make West Greenville attractive to people of all ages, backgrounds, and income levels. Overbrook Historic District is located in the more established part of Greenville, close to downtown Greenville and Wade Hampton, but equally accessible to the more suburban areas of the city. Longtime residents of Overbrook feel a distinct sense of community pride, which is well-deserved – with its sidewalks, parks, and small but healthy business community, Overbrook gives one the impression that it is its own tight-knit, self-sufficient little village. Haywood and Pelham offers those who call it home quiet residential neighborhoods and easy access to downtown. Convenience is this area’s prime characteristic, with grocery stores, malls, and restaurants all within an easy drive. Recreation opportunities are plentiful, with many tennis courts, parks, pools, and sports fields open to public use. Located close to downtown Greenville and Augusta Road, Laurens/McAlister is an older section of the city. Close to everything, those living in this area enjoy all the advantages of a more established community, with businesses that have been steadily thriving since the 1950s, as well as the excitement and economic growth that comes with new development. Parks and recreational facilities, as well as downtown’s shopping and entertainment, are easily accessible. True to its rural roots, Parkins Mill offers spacious lots and larger homes in a quiet environment. The large Gower Estates Park is popular with the many families attracted by the area’s good schools. Located close to the historic Augusta Road neighborhood and downtown, as well as the commercial district of Laurens Road, Parkins Mill residents are within a short drive of walking routes throughout Augusta Road’s beautiful neighborhoods, as well as that area’s thriving business district and plenty recreation and entertainment opportunities. Spartanburg’s Eastside has the look and feel of a college town, as it is home to Converse College, a small women’s liberal arts school with an excellent reputation. The tree-lined residential streets interspersed with locally-owned cafes, pizzerias, and ethnic restaurants give this part of Spartanburg a definite uniqueness and charm. Great schools make this a popular area with families. Featuring great family attractions like Walnut Grove Plantation, Niven’s Apple Farm, and Croft’s State Park, this large part of Spartanburg County stretches north towards Inman and south towards Woodruff, and is bisected by I-85 and I-26. Other notable landmarks include Spartanburg Community College and Methodist College. Conveniently located between Greenville and Spartanburg, Duncan offers older, rural houses as well as newly constructed residences in planned neighborhoods to accommodate the growth and businesses now calling this area home. The small business districts can offer great food and fun shopping – and it’s almost certain you’ll run into someone you know. Wellford is possibly one of the oldest communities in Spartanburg County with roots extending back to 1740. This community is known for family and community events which add to this area’s Southern small-town culture. Lyman is rich in natural beauty and offers many opportunities for outdoor recreation. Fishing and boating are within easy reach at any of several local ponds and lakes. This community is known for family and community events like the Annual LymanFest, which is a joyful celebration of this area’s Southern small-town culture. Encompassing the South Pacolet River Reservoir and part of Lake William C. Bowen, the Boiling Spring/Chesnee community is rich in natural beauty. Scenic Hwy 11, or the Cherokee Foothills Scenic Highway, winds through Chesnee, offering lovely views of rolling hills and wild forests, while Boiling Springs is surrounded by picturesque countryside spotted by grazing animals. Close to Spartanburg and all its amenities, as well as the University of South Carolina-Spartanburg, residents can take full advantage of life in the country, without sacrificing convenience or entertainment. Residents of Inman enjoy views of the mountains and the lake as well as the ability for a quick drive to Spartanburg or Asheville. This small town is a welcoming place to call home. The small Main Street, spacious homes, and beautiful view of the mountains with easy access to I-26 in a quiet rural environment characterize the small community of Campobello. A short drive to Asheville or the mountains, Campobello values their small-town identity as a friendly, comfortable place to call home. Nestled right below the Blue Ridge Mountains, Landrum is full of exciting attractions, beautiful scenery, historically significant sites, and friendly people. With the home of the Annual Blockhouse Steeplechase just five minutes from downtown Landrum, equestrian activities and horse farms are evident throughout this community and region. Strolling through downtown Landrum with the historic brick shops, downtown parks and historic train depot, one can easily understand why this community is so unique and why citizens of Landrum are proud of our quality of life. Located to the east of Five Forks along Woodruff Rd., the City of Woodruff can trace its origins back to a man named Joseph Woodruff, who in the late 1700s received a land grant of 200 acres that would, over time become Woodruff. Although it took nearly one hundred years for the town to establish itself on Joseph Woodruff’s land, nowadays Woodruff is home to a solid business community. The county seat, Pickens is located thirty minutes west of Greenville in the lovely Piedmont area of South Carolina. The town is convenient to the abundant waterfalls, state parks, and natural beauty to be found along scenic Hwy. 11. The small downtown offers quaint shops, eateries, and a healthy business community. Attractions include the annual Azalea Festival, as well as the small county museum and the 1826 Hagood Grist Mill. Easley is home to many who work in Greenville or Clemson, but enjoy the lower home prices of this smaller community. Easley’s origins are, like many Upstate small towns, in the railroad – the town was deeded in 1874 when a railroad station was constructed. Less than thirty years later, Easley was formally incorporated. Located midway between downtown Greenville and Pickens County’s lakes, Easley is an ideal spot for those who want the convenience of city living without giving up natural beauty. Although thousands of cars pass through Easley each day on their way to Pickens or Clemson, the town’s Main Street is removed from the main thoroughfare, maintaining the community’s quiet atmosphere. Located west of Traveler’s Rest and northwest of Greenville, Dacusville is a small rural locality whose size hasn’t stopped it from having a healthy business community. Residents enjoy the picturesque scenery of grazing livestock and expansive pastures, all within a short drive of Greenville’s urban amenities. A small town with historic character, Liberty offers a small downtown with quaint shops, the popular Freedom Park, and established neighborhoods with tree-lined streets. Liberty is just half an hour west of Greenville, and the same distance east of Lake Keowee. Liberty is a robust, tight-knit community, and a variety of town events are always either happening or in the works. The small town of Six Mile is located just east of Lake Keowee and between Seneca, Pickens, Liberty, Clemson, and Central. Good schools and a traditional, small town feel continue to draw many who are raising families or want to escape the hustle and bustle of the area’s larger communities. This rural hamlet to the north of Central features rolling pastures, wooded hills, and many historic and abandoned small farm structures, which give it a picturesque beauty. Available real estate is not plentiful, but can be found along the larger roads like Norris Highway, which leads out into the countryside surrounding the community. Home to Southern Wesleyan University, ten minutes from Clemson University, and just half an hour from the Blue Ridge Mountains and beautiful Lakes Hartwell, Jocassee, and Keowee, Central is a warm and friendly small town in a truly “central” location. The strong university presence in the town makes education a top priority with Central residents. This family- and senior-friendly community offers excellent recreation programs for both the young and the young at heart – the town has recently created a program of events, excursions, and fitness activities for Central’s mature adult population. Located roughly 40 minutes south of Greenville, Clemson is home to the renowned Clemson University (CU), whose orange tiger paw symbol is ubiquitous in this bustling college town. Residents of Clemson will necessarily be living among college and university students, but they will also be among the hundreds of researchers, professors, and staff that the university employs. The town of Clemson and the university are closely tied, which has been a true advantage for this small but thriving town. Music and theater, arts events, and all sorts of education activities are available for the public to enjoy, not to mention the many desirable businesses – bookstores, ethnic restaurants, and more – that have been able to survive and grow due to the CU community’s support. One of the most scenic sections of the Upstate, Hwy 11 is a designated scenic highway, beginning near the SC-GA border and winding north through the Upstate’s lake and mountain country. Residents take great advantage of the countless hikes, waterways and waterfalls, rock climbing, and camping opportunities that are just steps from their front doors. Table Rock State Park offers two lakes, campgrounds, mountain cabins, and a renovated lodge, but those who feel like exploring can simply start driving on Hwy. 11 – you’ll be sure to come across additional hidden natural treasures. One of only ten cities to be designated an “All-American City” by the National Civic League, Anderson exemplifies the feel of small-town living, with the advantages of a larger, more urban city. Good public transportation, a thriving business community, and a friendly citizenry exemplify Anderson’s “all-American” qualities, and make this city a warm and welcoming place to settle. Known regionally for its exceptional beauty, Lake Hartwell is a large lake with more than 900 miles of shoreline. The lake is a popular vacation destination, as it is easily accessible from Atlanta, GA, Charlotte, NC, and Greenville, SC. Fishing and boating are a way of life in the Lake Hartwell region, but residents don’t overlook the more than 2 million acres of mountains and natural forest that lie within an hour of the lake. A quaint, pretty town with a healthy downtown, Pendleton is within minutes of Clemson and Clemson University, but enjoys a slower pace of life with less hustle and bustle. The town’s rural routes are evident in the winding roads that pass by grazing cows and open pasture land. Downtown Pendleton offers attractions like the popular gathering place, The Pendleton Farmers’ Hall and Market, the Clemson Little Theater, and local cafes and restaurants. The town also has a number of fascinating old landmarks, like the long out of use Pendleton Oil Mill. A small suburb of Greenville, Powdersville has a number of newer subdivisions that have attracted many first-time home buyers, as well as young families. Despite its small size, the community is robust. Close to the larger cities of Greenville and Anderson, and surrounded by scenic countryside, residents of Powdersville can enjoy a quiet lifestyle while still accessing the perks that come with living near an urban area. Home to local favorite Happy Cow Creamery, Pelzer is a quiet, rural community located 30 minutes south of Greenville and 30 minutes north of Anderson. The community has an abundance of land that would be suitable for a small farm or raising livestock, but there are also a number of gorgeous new, custom homes at relatively low price points. Just south of Pelzer, Williamston is a small community with a larger-than-life history. Originally founded around a spring with supposed healing qualities, Williamston – at that time known as Mineral Springs – was, from the 1850s until the Civil War began, “The Saratoga of the South,” welcoming guests from around the country who wanted to partake of the healing waters. The town built the Mammoth Hotel, which was the largest building in the state at the time, to accommodate all their visitors; sadly, the building burned down in an 1860 fire. Close to lakes and rivers, as well as the woods and hills of Piedmont, residents are never at a loss for outdoor activities. First settled by Irish immigrants in the 18th century, Belton began to thrive when the railroad connecting Piedmont with the Charleston coast was laid in 1855. Family friendly and distinctly Southern, the community takes pride in its beautiful natural attractions and quaint downtown. Belton is very family-friendly, with great public sports and recreation facilities and an abundance of outdoor recreation within minutes. The small town of Honea Path is rich in history as a mill town; visitors and residents can still see the old Chiquola Mill and the Chiquola Mill housing that was built for mill workers in the 19th century. The town center boasts elegant residential streets and several independent businesses. History lives in this small town, which is also known for its friendly residents and beautiful countryside. Very close to and similar to the Lake Jocassee area, Lake Keowee is a large part of why this part of South Carolina is considered one of the state’s most beautiful. This area has a long history, having been settled by Native Americans thousands of years ago. Today, Lake Keowee welcomes travelers, tourists, and future residents from around the Southeast, who come to enjoy the spectacular grandeur of the lake and its surrounding mountains. As Lake Keowee is just 45 minutes from Greenville, residents can easily access the city’s entertainment, dining, and shopping options. Encompassing part of Lake Hartwell, with Lake Keowee forming part of its northern border, Seneca is nestled deep in the heart of South Carolina lake country. This favorable location has helped build the city into a thriving community, with a busy downtown, a full events calendar, and plenty of historic attractions. Over the years, Seneca has welcomed a diverse group of people, from around both South Carolina and the country, who arrive seeking a welcoming, lively community in the midst of glorious natural beauty. Home of the South Carolina Apple Festival, Westminster lies in the foothills of the Appalachian Mountains near Lakes Jocassee, Keowee, and Hartwell. Several historical districts with an abundance of preserved architecture, a quaint downtown, beautiful parks, and amazing recreational opportunities are just a few of the reasons Westminster is a truly special place to live. The Walhalla -West Union region is bound on the far western side by the beautiful Oconee State Park, and extends east to within a few miles of beautiful Lake Keowee. The area was first settled by German, Scottish, Irish, and English immigrants, and was named “Walhalla” – German for “paradise” – in honor of the area’s incredible natural beauty and thriving wildlife. Outdoor recreation is a major part of life in this town at the foot of the Blue Ridge Mountains. The Blue Ridge Parkway and its exceptional hiking trails are within an easy drive, as are camping, horse trails, and sixty waterfalls. Countless dining, entertainment, cultural, and shopping options can be found in the bustling college town of Clemson, SC, which is less than half an hour away. The town of Salem is located near one of the most gorgeous natural landscapes in South Carolina, by Lake Jocassee and the Jocassee Gorges. Salem is a very small community. The large tourist population in the summer makes Salem and Lake Jocassee into largely seasonal communities, but those who live here year-round enjoy a tighter sense of camaraderie and take advantage of the less-easy-to-find natural wonders in the area. Located within the majestic Sumter National Forest, homes in Mountain Rest are quite private and literally steps away from abundant opportunities for hiking and camping. Both single family homes and mini-farms are available, as well as acreage. Hidden away in the picturesque foothills of the Blue Ridge Mountains and home to the Chattooga River, Long Creek offers plenty of opportunities for outdoor recreation from rafting or kayaking to ziplining through the trees to hiking to waterfalls. With a quiet Main Street that hearkens back to the early part of the 20th century and several imposing historic residences, Gray Court offers some of the most authentic rural living in the Upstate, along with Rural Laurens. Quiet and removed from the hustle and bustle, this town of just over 1,000 offers picturesque views and the peaceful rhythms of a life lived on the land. Rural Laurens surrounds the towns of Laurens and Clinton, and it accounts for most of Laurens County. The area saw the first boom in the textile industry in the late 19th century, and mills were established in Laurens County in the years following. Named after Henry Laurens, who was president of the Continental Congress after the Revolutionary War, the town of Laurens has a small downtown featuring beautiful historic architecture, and charming established neighborhoods filled with cozy bungalows and cottages. Still resembling the 19th-century town that holds its origins, Laurens’s relatively densely settled. A true small town with a distinct character, Laurens has a strong community feel and a robust historical consciousness. Clinton was first settled by Scots-Irish immigrants in the mid 18th century and maintains strong ties to its early history as an independent, self-sufficient community. The center of town, which is also home to Presbyterian College, which keeps a steady population of young people and a strong intellectual and cultural presence in Clinton. The College presents events including concerts, seminars, and art shows, most of which are open to the public. Clinton also boasts a healthy local restaurant culture, with local favorites including Dempsey’s Pizza and Whiteford’s Drive-in.